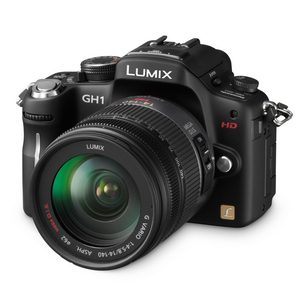 In the January 2009 issue of HWM, we reviewed the Panasonic LUMIX G1 digital camera. Technically not a DSLR despite handling much like one, it was the first camera of its kind that boasted the new Micro Four Thirds technology inside. This technology promises a sensor size similar to previous Four Thirds cameras, but with considerably smaller bodies and lenses. Perhaps the biggest change in the DSLR scene since the release of the Panasonic G1 has been the inclusion of HD video recording in DSLRs. While the benefits are debatable, there's no denying that this trend is here to stay. However, all the cameras released so far have lacked one element: auto-focus while shooting video. The Panasonic LUMIX DMC-GH1, the HD video-recording update to the G1, is hence the first camera with interchangeable lenses in the market that can auto-focus while shooting. Since the release of the Panasonic GH1, another Micro Four Thirds camera with interchangeable lenses - the Olympus PEN E-P1 - has also been released that can auto-focus while shooting HD video. 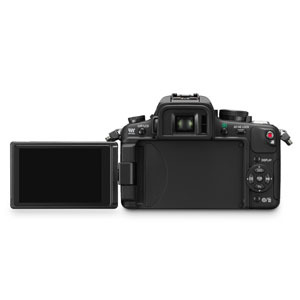 The Panasonic GH1's body is almost completely unchanged from the G1, and that's a good thing as the G1 handled very finely; heft and grip are all comfortable and controls are in the right place. Our favorite feature on the G1, as on the GH1, is the front control dial, which doubles-duty when you press it down. If you're on Aperture or Shutter mode, scrolling it controls either, pressing it down toggles you to Exposure control. If you're on Manual, pressing it down toggles between Aperture and Shutter controls - a brilliant, elegant method to control two options with one dial. What's new is the video capture button on the upper right of the back body. This is another elegant solution that makes capturing video that much easier - if you're in photo capture mode and there's something you want on video, instead of wasting precious seconds switching the mode dial to Video, simply press this video capture button and you'll start recording immediately. 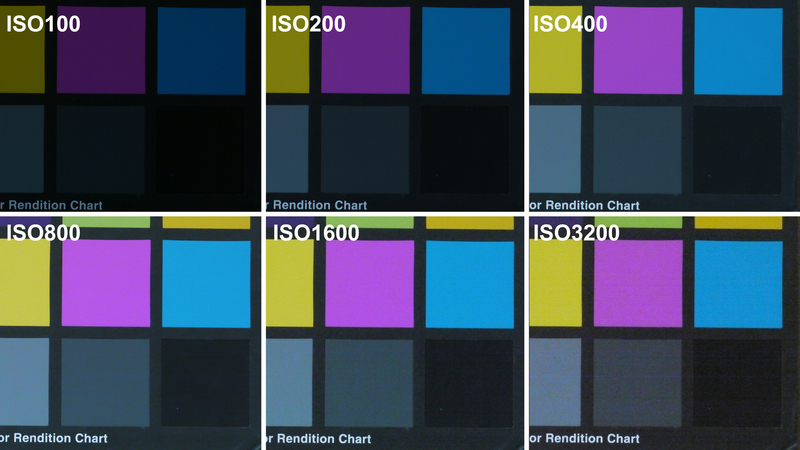 We really enjoyed shooting with the GH1, and the quality of the photos shines through as you can see in the samples. Resolution is sharp and colors are bold. 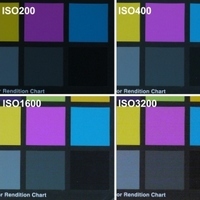 ISO noise levels are still good up to ISO800 while more noise comes in at the upper reaches of ISO1600 and ISO3200. One thing we liked about the GH1 was how we could shoot as much as we wanted manually, and then hand it off to anyone without DSLR training to shoot without worries. The iA (Intelligent Auto) mode prevalent on Panasonic compact point-and-shoots means you can share this camera among beginner friends and family and still trust the camera will help them land a shot with appropriate settings. When shooting video, the auto-focus works as promised, just half-depress the Shoot button and the camera will re-focus. For most occasions, the video quality is good, at the same time, we've found that shooting in low light poses a challenge; the GH1 has problems focusing on moving subjects in such cases. You can watch our sample footage here. 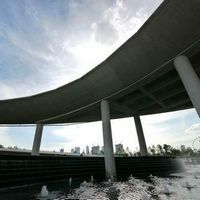 The Panasonic LUMIX GH1 presents a paradox of sorts - it's great for someone who needs a step-up from a point-and-shoot, while also offering both manual controls and ease-of-use. Unless you record in standard-definition MPEG, the AVCHD codec that high-definition video records in demands that you have a higher-end system and some working knowledge of formats. There are a limited number of lenses available for the Micro Four Thirds system, but you can buy a mount adapter for S$299 to fit Four Thirds lenses onto the GH1, and there's also a mount adapter for Leica lenses. Like how the GH1 marries advanced functionality with simple ease-of-use, the user or family using the GH1 probably needs to dip their hands in both worlds to take full advantage of it. Once they do however, we suspect they'll find a great combination of user-friendliness and image quality waiting for them. Flash Sync: 1st. Curtain Sync, 2nd Curtain Sync. ISO performance is still good up to ISO800. It'd be great to trade two of the Auto modes for video Aperture & Shutter priority modes.